There’s no option to remove that option!! As stupid as it sound. 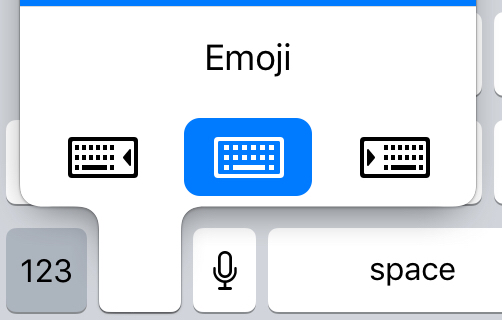 I’m not a fan of one hand keyboard although in glad the option is there for whoever needs it. But there should be a way to remove those three buttons that are placed where the emoji keyboard option was !! Hey dude, what if you need to type with one hand? Lucky for me, my thumb can reach the other side of the screen easily, that’s one reason I choose iPhone 6S and not he 6s plus which is bigger. Anyone here with the golden Master knows if there is an option for that ? ?